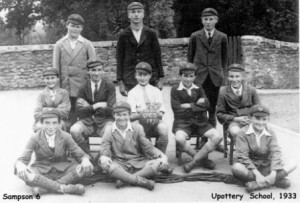 About 125 years ago, Lord Sidmouth built Upottery School, providing free education for the village children. 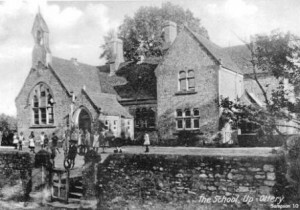 The distinctive building, with its single high-vaulted schoolroom and the adjacent Victorian schoolhouse, is very much a feature of the village landscape still. It was built in the centre of the village for the local community and is surrounded by beautiful countryside, in the heart of the Blackdown Hills. The listed original Victorian building has been improved and extended to meet the needs of a modern curriculum, but the school retains much of its close family atmosphere. The football boots in 1933 look more like a challenge than an advantage and more than one of the boys in the picture looks like they are fully armed with a catapult in their back pocket! In 2011, they would be well in to their 80’s – time to own up lads! 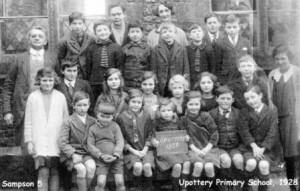 We’d like to know more about this school and would love to know who these pupils are. Can you help us?